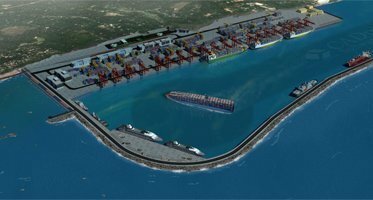 Mumbai: The local government in Kerala has given Adani Ports and Special Economic Zone Limited (APSEZ) the green light to go ahead with the construction and operation of the Vizhinjam container transhipment port, a project that has been on the cards for more than a decade. Adani was the sole bidder for the project, which belatedly looks to claw back some of the transhipment volumes that Colombo, just 175 nautical miles away, has built up in the past 10 years. Meanwhile, APSEZ is readying to raise funds through dollar bonds, the company’s first foreign currency bond issue, which will launch later this week. The firm is looking to raise up to $1.5bn from the issuance.